WHEELING — There were only a few notes of music heard, but Miguel Encinas stopped his comments and asked all to stand at attention. “They’re playing the National Anthem,” he said. Encinas, 52, of Bridgeport, was the vocal leader of a group of about 10 veterans and their supporters turning out to participate in the Ogden Newspapers Half-Marathon Classic on Sunday. Encinas is a 22-year veteran of the U.S. Army who served in Iraq and Afghanistan. Encinas runs the Ogden and other local distance races on a yearly basis, he said. To train, he runs four to 6 miles each day throughout the year. Encinas participated in the 5K walk, hauling 30 pounds of weight in a backpack, in memory of his fallen colleagues. Standing with him was Keith Hixenbaugh, 34, of Weirton, who explained Team RWB “supports veterans through physical activity.” His finished the race in two hours, 48 minutes. Stacey Faix of Plum, Pennsylvania, said she was not a veteran but wanted to show her support. “Our veterans need to see other people supporting them,” she said. Results do not show a completed time for Faix. 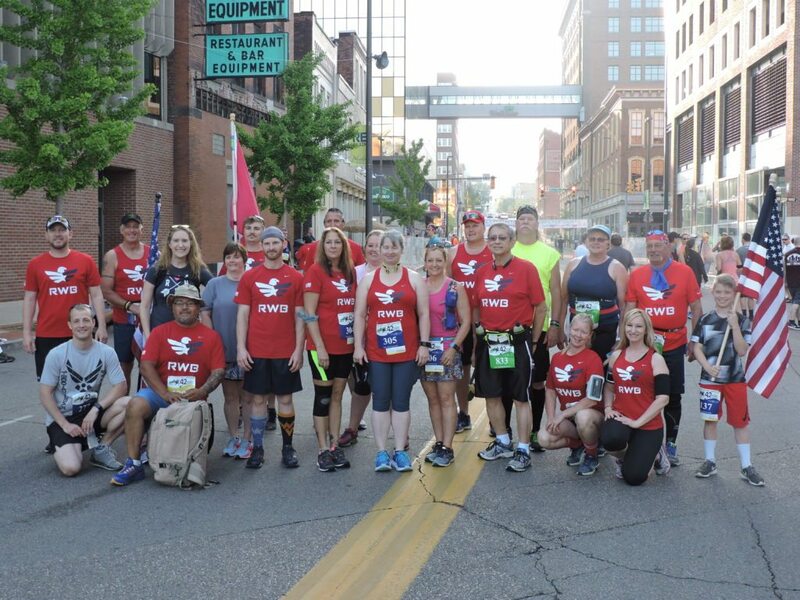 The Wheeling chapter of Team RWB, now over 2 years old, hosted Pittsburgh residents for the various activities at the event. In total, the team comprised of 27 participants. Team RWB Social Outreach Director Michael Novotney said the organization provides a way for veterans and their advocates to connect with one another no matter where they end up going. Encinas finished with a time of 46:14.1. Checking his results, he said he would have finished sooner, but that he stopped to wait for his running companion, Christine Encinas, who finished just seconds before him. “I’m a man!” he said.